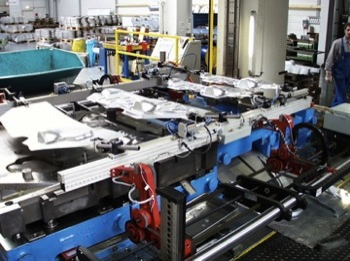 Full three plus axis servo transfers for small to mid size presses. In die two axis transfers. Modular design to fit your die application. Preferred Tool and Die is a partner in Knowledge Engineering, which is designing Die Design Automation software and Machine Programming Automation software. Yes, the die design process can be highly automated. In addition, machine programming time of die components can be greatly reduced by design automation. Preferred Tool and Die's automation branch offers die related automation and components.